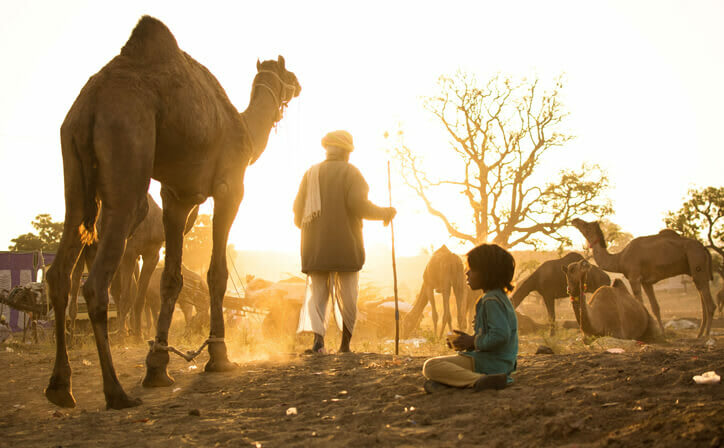 Camel safari in Bikaner is a two night tour with one full part with Thar desert safari followed by stay in desert camp along with full Bikaner city tour on the next day. Adventure seekers are sure to have great time on this desert safari tour package. Welcome to Bikaner! Meet our representative on arrival at Airport / Railway Station / Bus Stand and Drive to Raisar village located near to Bikaner in the Thar desert of Rajasthan. Safari starts from village Raisar and travel through sand dunes in the great Indian desert, enroute visit village Bamblu to see traditional village lifestyle in Rajasthan, qute little mud houses and locals wearing colorful costumes followed by a visit to village school to see how is the education system in the rural India. Post lunch, proceed to visit village Panpalsar and reach at camp before sunsets in. Enjoy the mesmerizing sunset here in the desert along with the tea and snacks served in the camp. Evening free to explore around the camp and admire the peaceful enviornment here in the desert. Later proceed for dinner with bonfire and folk music specially for your entertainment. Overnight stay at camp. Enjoy breakfast at the camp. Proceed for the safari ending point by camel cartes. Later drive back to City. On arrival sightseeing tour of the city. Proceed for the guided tour. 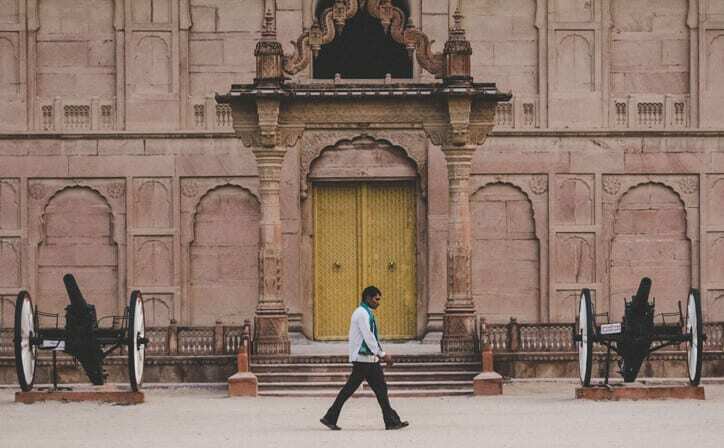 Visit the Junagarh Fort & Lalgarh Palace. Evening visit the Camel Breeding Farm. Overnight stay at the hotel in Bikaner. 01 Night Thar Desert Camp | 01 Night Bikaner | All Meals at Desert Camp | 3 Star Hotel Accommodation in Bikaner | Daily Breakfast | Transfers | Private guided sightseeing | Camel Safari at Desert Camp. 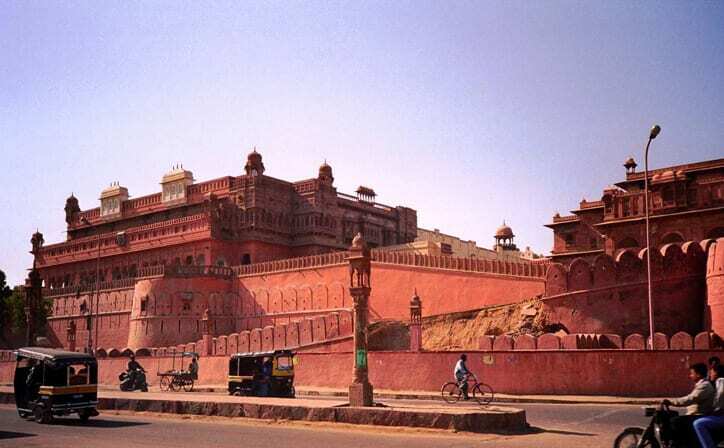 Bikaner is a city in the north Indian state of Rajasthan, east of the border with Pakistan. It's surrounded by the Thar Desert. 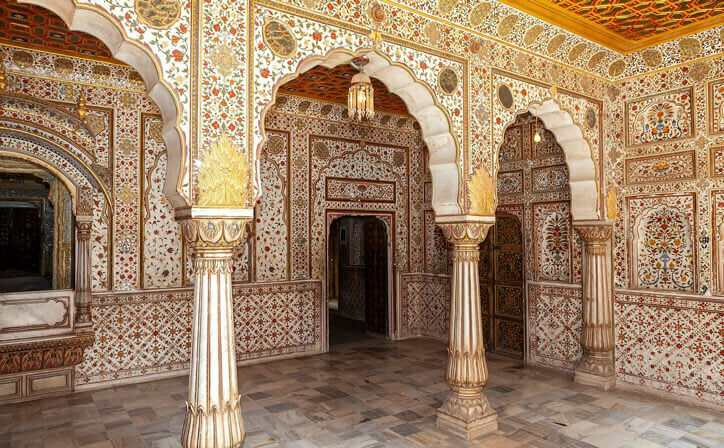 The city is known for the 16th-century Junagarh Fort, a huge complex of ornate buildings and halls. Within the fort, the Prachina Museum displays traditional textiles and royal portraits. Nearby, the Karni Mata Temple is home to many rats considered sacred by Hindu devotees. Raisar Camp is an innovative adventure in boundless ocean of velvety sand of Rajasthan. Discover majestically either on camel or on camel cart. It is a perfect setup between sand dunes in Raisar village, near Bikaner. you will find us eagerly waiting to give you a wonderful journey through desert. ○ 02 Nights accommodation in well appointed A/c room in well rated hotel. ○ Daily breakfast in hotel during the tour. ○ All Transfers and Sightseeing throughout the tour by an individual Air Conditioned vehicle with English Speaking Driver. ○ All Meals at Desert Camp. ○ All driver expenses, toll, parking, fuel etc. ○ Late night pickup/Drop charges 500/- Rs extra. Curated list of things you can do to make your journey pleasent and memorable. 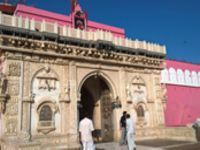 Karni Mata Temple is a Hindu temple dedicated to Karni Mata at Deshnoke, 30 km from Bikaner, in Rajasthan, India. It is also known as the Temple of Rats. The temple is famous for the approximately 25,000 black rats that live, and are revered, in the temple. 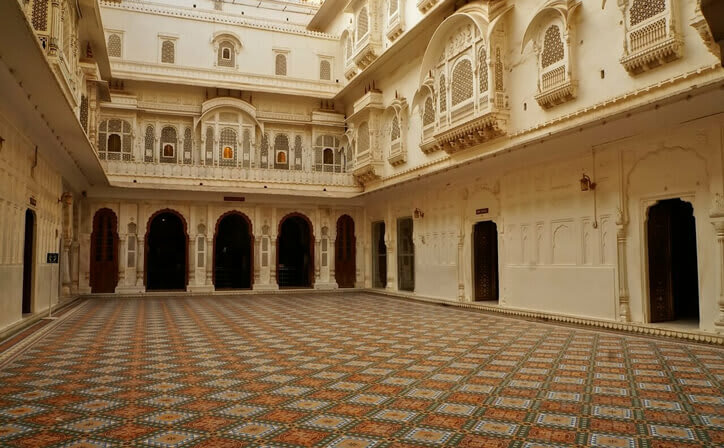 Museum tracing Bikaner's cultural history with exhibits ranging from art to royal fashions & armor. Junagarh Fort is a fort in the city of Bikaner, Rajasthan, India. 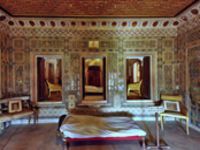 The fort was originally called Chintamani and was renamed Junagarh or Old Fort in the early 20th century when the ruling family moved to Lalgarh Palace outside the fort limits. ○ 40% of total as Booking Fee, to initiate bookings. ○ We will start the process at our end while you sit back at home and dream about your holiday. ○ If you are booking within 10 days of date of travel, You will need to make payment of 100% of the tour package cost/ tour components costs at time of booking process is undertaken. ○ Any amendment or cancelation made by traveler would be chargeable as per cancellation policy. ○ PAN card copy (required for Billing). ○ Traveling passenger Signed Booking Form. ○ Traveling passenger Signed Terms and Condition Form. ○ All rates are subject to availability and can change without prior notice. ○ No room / service would be blocked without booking fee. ○ Air tickets once issued are subject to cancellation/amendment/no show charges in case of any amendment. ○ The Standard check-in time at the hotels is 14:00 hours and the check-out time is 10:00 hours. ○ Payments for additional services taken at the hotel are to be settled directly at the hotel. ○ Please specify the passengers' nationality at the time of enquiry/booking. ○ Anyone above 11 years of age will be considered as an adult. (Children below 3-years of age will be complimentary however there would be charges for extra bed, if requested). ○ Optional meals does not include transfers; the meal will be delivered to your hotel if the restaurant is not within walking distance. ○ For SIC Tours / Transfer pick-up depends on the hotel location, if the hotel is outside of the pick-up zone, clients will have to make their own arrangements. ○ We reserve the right to use alternative accommodation, sightseeing tours and transfer of equal or a higher standard. ○ No refunds either in part or full will be made for any unused services in the above package like ground transportation, meals, accommodation or sightseeing tours. ○ We are not responsible for any missed breakfast due to flight timings. ○ No intercity surface transfers are included unless specified in the package. ○ Rates are subject to change and availability. ○ Rates are not valid during peak season i.e 15 November to 20 January. The surcharge will be levied in these cases. 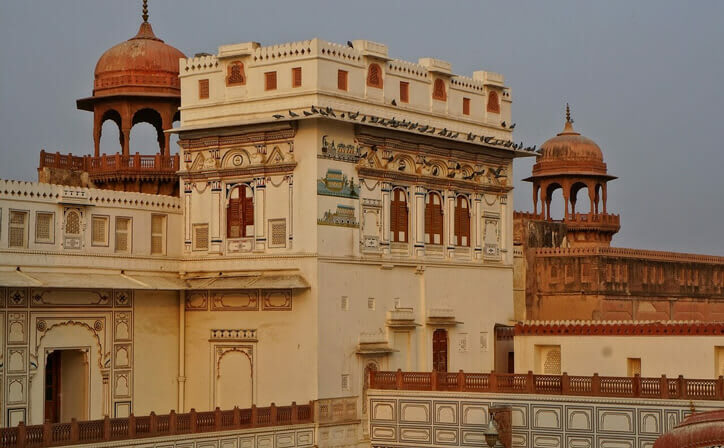 What is the best time to visit Bikaner? 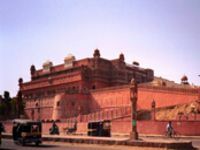 Bikaner is a city which experiences extreme climate throughout the year. While the summers are hot and humid, winters are chilly. However, the best time to visit the place is from October to March when the weather remains cool and pleasant. How Can I book this tour? Please choose any of the mentioned tour packages from our website and send us a query with your requirements. Our tour operation team will send all details and tour itinerary with actual rates and will help you out to plan your trip according to your convenience. Any prospective participant with a disability, pre-existing medical condition, or medical history requiring special attention or treatment should advise the Manoyatra Tours at time of booking the reservation and are advised to consult with a medical specialist prior to reserving space in the Tour. People who are unable to travel alone or who would require special assistance or handling must be accompanied by a companion who will provide the required assistance. Manoyatra Tours assumes no responsibility for any cases such as these. Any assistance can be given upon prior request and extra charges for lodging, boarding, food etc will be charged as per the tour agreement. How will I be picked up from Airport / Station? Manoyatra representative will pick you from the terminal of the airport. Please do not leave the airport without our representative. He will be holding a placard with your name mentioned on it. We will also send you the mobile number of the representative beforehand to contact him if you are unable to locate him. Find lower price than us! We will match it. Everything is tailored to your exact needs and tastes, and we will keep tweaking and adapting until it feels just right. We offer unforgettable and authentic travel experiences made possible by our use of accredited local suppliers. Our team is dedicated towards customer satisfaction. © Copyright 2018 by Manoyatra. All rights reserved.